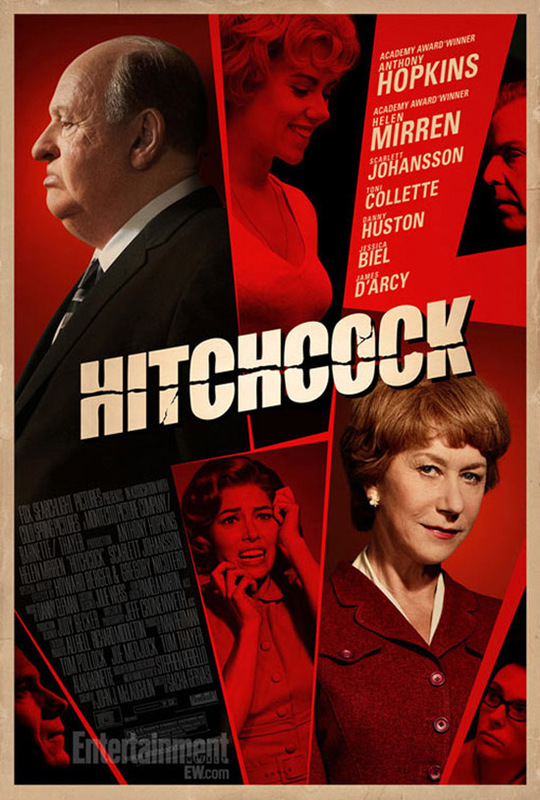 Fox Searchlight Release New Poster for 'HITCHCOCK' Starring Anthony Hopkins & Scarlett Johansson! Fox Searchlight has released a new poster [via EW] for Sacha Gervasi's Hitchcock. The movie stars Anthony Hopkins, Helen Mirren, Scarlett Johansson, Danny Huston, Toni Collette, Jessica Biel, Michael Stuhlbarg, James D'Arcy, Michael Wincott, Richard Portnow & Kurtwood Smith. Based on the book Alfred Hitchcock and the Making of Psycho by Stephen Rebello, Hitchcock is a love story about one of the most influential filmmakers of the last century, Alfred Hitchcock & his wife & partner Alma Reville. The movie takes place during the making of Hitchcock’s seminal masterpiece Psycho. Hitchcock arrives in limited theaters this November 23rd. I'm reading: Fox Searchlight Release New Poster for 'HITCHCOCK' Starring Anthony Hopkins & Scarlett Johansson!Tweet this!